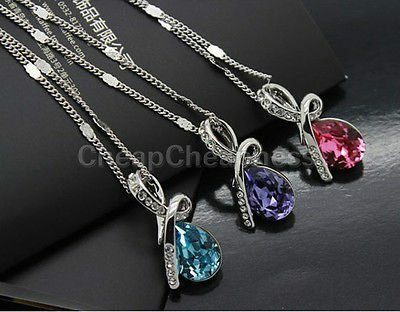 Crystal Drop Necklace Only $2.51 + FREE Shipping! You are here: Home / Great Deals / Amazon Deals / Crystal Drop Necklace Only $2.51 + FREE Shipping! Ooooh, check out this SUPER pretty necklace! Right now, you can get this gorgeous Crystal Drop Necklace for as low as $2.51! And, shipping is FREE! I’m totally grabbing one for myself and a couple for the gift closet. At this price, I can buy a few and not feel guilty!